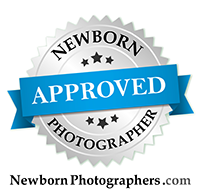 Thank you so much for your interest in Lovely Baby Photography! Use the contact form, or you can always contact us directly by email or by phone to ask me any questions, inquire about booking a session, or photography mentoring. We cannot wait to hear from you! Note that we are BY APPOINTMENT only. If Stacey can't get to the phone, she's probably in a session with a sweet little newborn. We are also closed most weekends, so that Stacey can enjoy time with her family. We do take occasional weekend sessions, but if you email her over a weekend, she will most likely get back to you first thing Monday morning. If expecting, when is your due date? If baby is already here, what is their birth date? Photographers: What type of information are you interested in?